Visiting Palawan may be a little bit overwhelming at first. It is home to three major tourist destination in the Philippines. 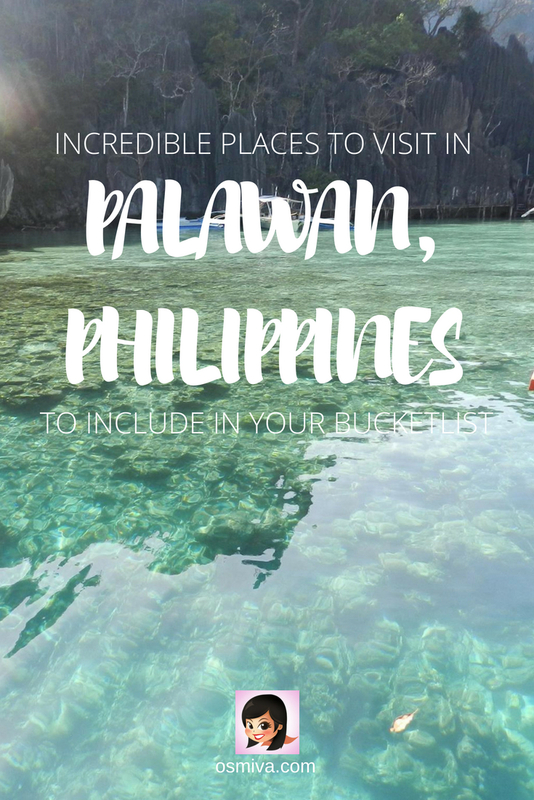 If you are planning to visit, we have a list of must-visit Palawan tourist attractions that you can include in your itinerary! Palawan island is among the Philippines’ most famous tourist destination. It is located in the MIMAROPA region in the Southwestern Tagalog Region. The island is called as Philippine’s last frontier. And so it is with its beautiful tourist attractions. Palawan has been declared repeatedly one of Asia’s most alluring tourist destination. It is surrounded by islands, islets, rocky coves and sugar-white sandy beaches. Palawan does not only offer amazing beaches but other great natural resources as well. The province is home to the famous Underground River and the Tubbataha Reef Marine Park. All of which has been preserved and remains untouched until this day. The island is the best place to explore nature. Tourists wishing for a place of adventure and a chance to unwind and get away from the hustle and bustle of the city will find that here and more! Indulge in the culinary tastes in the island and its peaceful and tranquil atmosphere that is purely Palawan. Palawan is located on the western portion of the Philippines. Commercial flights are available to major cities and municipalities in the province. If you are coming from major cities like Cebu and Manila, there are direct flights that can take you to Puerto Princesa and Coron. You may check out flight availability at local airlines like Cebu Pacific and Philippine Airlines. El Nido, on the other hand, can be pretty tricky as commercial flights are scarce. But you can always check out airlines like AirSwift for flight availabilities. To date, there are 3 major airports for travellers who wish to visit the famous Palawan Tourist Spots. They are Puerto Princesa International Airport, the El Nido Lio Airport and Francisco B. Reyes Airport. Aside from the three, the following are also functional but has limited flights: San Vicente Airport, Cuyo Airport and Del Pilar Airport. Planning your itinerary can be hard especially for first-timers. Below is our sample itinerary that you can look into. If you have a lot of time to explore the province then you may want to know how to effectively travel from one city/ municipality to the next. Day 1-3. One of the best alternate routes you can take is to take a commercial flight to Puerto Princesa. Three days is enough to spend here. Take the city tour on your first day, do some island hopping on your second day and visit the Underground River on the third. Day 4-5. If you have a day or two to spare, hop on a bus or a van and visit Port Barton. Do some island hopping and some snorkelling while there. Otherwise, head to El Nido by taking the late night van or bus. Travel time is approximately 5-7 hours depending on the speed. Day 6-9. When in El Nido, enjoying 3-4 days doing some island hopping activities as well as some enchanting diving and beautiful hikes. From El Nido, take the ferry going to Coron and take another round of island escapades and tours in this beautiful island. Travel time to Coron from El Nido will take around 4-8 hours depending on which boat you take. Day 10-15. When in Coron, you may opt for another 3-5 days to try out the different tours including tours in Busuanga. Coron may be your last leg of your Palawan trip. You can take commercial flights to Cebu or Manila. Otherwise, you can start your trip in Coron and do the alternate route mentioned above with side trips to Balabac. You may book your flight from Puerto Princesa. Please take note that both Balabac and Coron are islands separate from the main island of Palawan. Thus the exclusion on the map. Honda Bay in Puerto Princesa is one of Palawan’s beautiful tourist destination. It is surrounded with several islets with shallow reefs and wonderful beaches. Aside from the terrific opportunities of diving in the area, the bay is the perfect place for lounging around on sandy beaches. There are several island hopping tours made available for tourists wanting to explore the bay and its surrounding gorgeous islands. I have been to several amazing islands in Honda Bay including Starfish Island, Isla Pandan and many more. Several islands have amazing coral reefs and powdery white sand that’ll make you sigh with happiness. Especially for beach lovers and snorkel lovers out there. 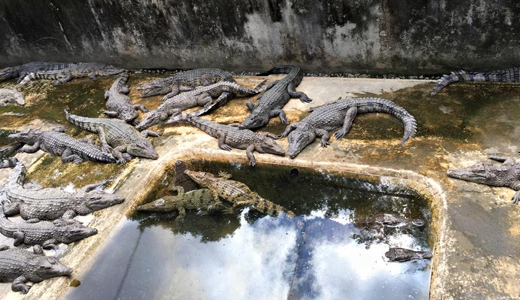 The Palawan Wildlife Rescue and Conservation Centeris a conservation centre that breeds Palawan’s crocodiles. Some of which are saltwater species and others which live in freshwater only. The centre provides some interesting and educational experience for its guests. Walk through educational areas in the conservation area and learn how to protect the Philippines’ crocodiles. During our visit, we saw some hatchlings and full grown crocs. Most were lounging around within protective walls of the Palawan Wildlife Rescue and Conservation Center. 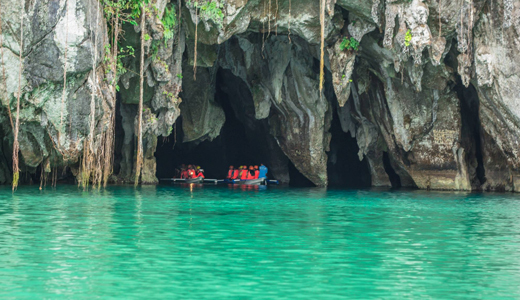 The Puerto Princesa Subterranean River National Park is Palawan’s most popular attraction. It’s one of the most distinguished protected areas in the Philippines. It has also been awarded as one of the New 7 Wonders of Nature. The Underground River provides a unique nature experience that tourists visiting Palawan shouldn’t miss. It features a karst mountain landscape with an 8.2 km long underground river that flows directly to the sea. The various stalactites and stalagmites formations are very interesting indeed. Top it off with entertaining stories from your guide will definitely make the visit more interesting and equally educational! We were indeed lucky to have been assigned a guide that made the entire tour very interesting indeed! Make sure to pre-book before you visit as there are indeed a lot of tourists wanting to visit the Underground River too! 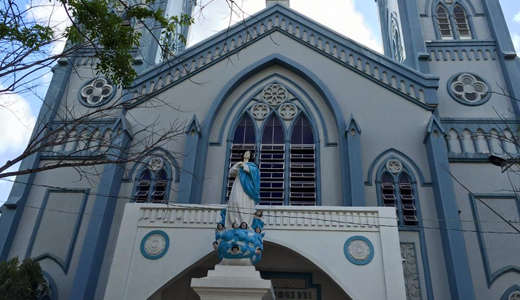 The Immaculate Conception Church is one of the tourist attractions in Puerto Princesa. It serves as a dedication to the Patron Saint of Palawan. Its astounding architecture, with angular structures and well-preserved edifice from a century back, had made it a worthy place to visit. You can include visiting the church during your Puerto Princesa City Tour or just do it yourself and hire a tricycle to take you there! The Tubbataha Reef Marine Park is an atoll coral reef that includes 130,028 ha, including the North and South Reefs. It has a very high density of marine species with pristine coral reefs, extensive lagoons and two coral islands. The area was a nominee at the New 7 Wonders of Nature too. Puerto Princesa’s Ugong Rock is another promising Palawan tourist spot. 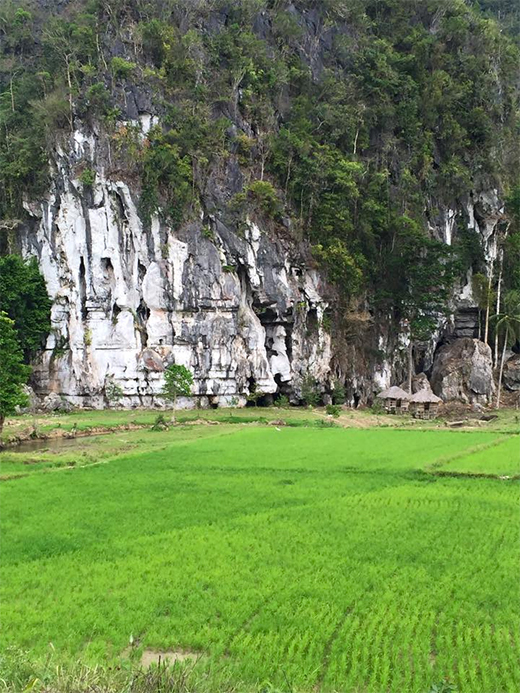 A trip to Ugong Rock is guaranteed to be as exciting as any travel destination. Guests will be treated with its unique combination of caving, climbing and zip line. The rock formation stands like a pedestal that offers a 360 degree of view of lush green fields and mountains. It’s usually included as a side trip when visiting the Underground River. Definitely, a cool way to pump up your excitement for the entire trip! The walk to the top takes about an hour (although it’ll still depend on your pace) but definitely an enjoyable one! The El Nido Marine Reserve Park is a premier tourist destination. It occupies a total of 96,000 hectares. The Marine Reserve Park boasts of a rain forest, mangroves, white sand beaches, coral reefs, and limestone cliffs. Its diverse eco-system creates a breathtaking and fascinating natural scenery that will surely enchant tourists. Entalula Island is a private beach where tourists from Lagen and Miniloc can reserve in for dinner or lunch. The beach at Entalula Island is filled with water activities. It is fringed with white sand, some with rich coral and fish populations at forty to sixty feet. The Secret Lagoon Beach is an interesting island in El Nido. It is separated into two by limestone cliffs. A secret lagoon is hidden on one side while the second is comprised of a gorgeous stretch of fine, white sand beach. Access to the lagoon is through a small opening. 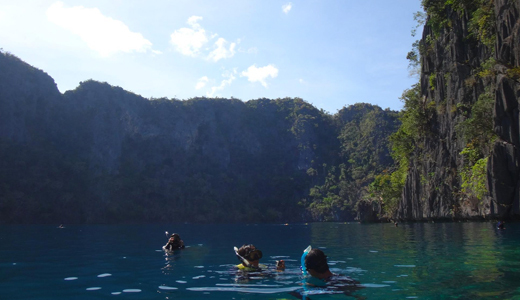 The Small Lagoon is another must-see attraction in El Nido. It has orchid-lined limestone walls, bountiful marine life and tranquil turquoise-green waters. The Small Lagoon is a favourite destination for tourists visiting El Nido. Barracuda Lake in the Coron Bay is an interesting and unusual diving spot in Palawan. The lake is declared as one of the world’s natural and beautiful sanctuaries. It is also referred to as the “craziest dive site in the Philippines”. Barracuda Lake is located at the top of a volcano crater. It offers a dreamy scenery with blue-turquoise waters, surrounded by limestone cliffs. What I love most about Barracuda Lake are its clear waters. You can easily see the bottom when swimming in the lake. 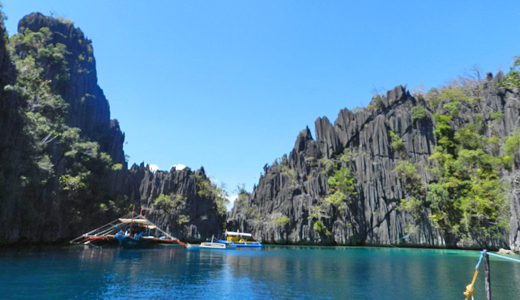 The Twin Lagoon in Coron, Palawan are two (2) lagoons interconnected by a small hole in between the karst mountains. It’s part of the Coron Ultimate Tour and is definitely worth the visit. The lagoon has definitely taken me by surprise and left me breathless. It’s beautiful karst mountains is imposing and breathtaking at the same time. We have spent an hour just enjoying the karst formation and swimming in the lagoons clear waters. The Calauit Island Wildlife Sanctuary is situated on the Busuanga Island in the province of Palawan. It was home to a variety of exotic, indigenous and marine animals in the past. Among these are the Bushbucks, Elands, Giraffes, Impalas, Calamian Deer, Mouse Deer, Palawan Peacock Pheasant, Dugong, Sea turtles and Giant clam. Today, however, Calauit Safari’s wildlife population has dwindled. 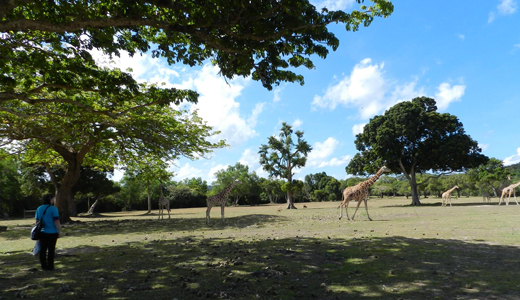 When we visited, only the giraffes, Calamian Deer and zebras have remained including a few animals in their zoo. There are Calauit Safari Tours offered by some travel agencies should you wish to explore it just like we did. This part of the island is made up of undulating topography with narrow coastal plains, widespread grasslands and low ranges of hills. The Coron Bay in Palawan is popular among divers around the world. It boasts of some of the fabulous wreck diving spots in the world. History says that US fighter aircraft and dive bombers have sunk 24 vessels from Japan in this area. Some of these wrecks have now been discovered. Aside from the wrecks, the corals in the area are quite exceptional and shouldn’t be missed. 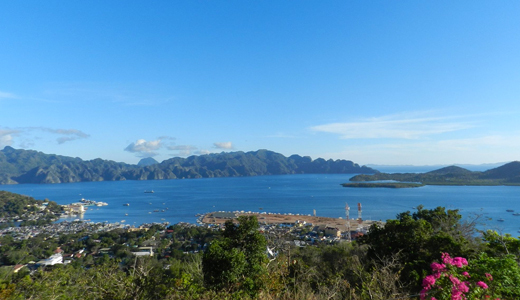 You can have uninterrupted views of the Coron Bay on top of Mount Tapyas in town. A trip to Mount Tapyas is usually included in Coron Town Tours. Personally, I’d recommend doing it yourself as the town is pretty tourist friendly and can be easily navigated! Lake Kayangan is nestled on top of a mountain. For tourists visiting this place, a 10-minute steep climb is required. After this, you will be rewarded with a breathtaking view and crystal-clear waters. The lake Kayangan has been awarded as the cleanest lake in Asia. Other areas in Palawan are slowly gaining popularity over the years, not only for locals but to tourists as well. Here are some destinations you might want to consider. If you want a bit more solitude and less the crowd, Port Barton is a good option. It’s less crowded than its neighbouring municipality: El Nido. You can mostly do 4 island hopping activities in the area. They are cheaper than those in El Nido but equally as beautiful. You may also enjoy snorkelling and kayaking to nearby islets. Balabac is a group of islands in Southern Palawan that is made up of 30 islands and islets. Getting there and arranging the trip by yourself may be a bit difficult as tourism is not yet fully developed. And that most of the islands are privately owned. Contact local travel agencies for the meantime to help you plan your trip. Expect gorgeous sandy white beaches when you visit. The Lala Panzi Bed and Breakfast is an ideal accommodation option for travellers who want to stay in the city centre. Aside from the standard rooms, they also offer dormitories for large groups. Another great accommodation to book in is at Casa Belina. Aside from the comfortable rooms and breakfast availability, Casa Belina offers airport transfers for its guests. If you want a bit more luxury and convenience, the Clean Villas Pension is an awesome choice with its 3-star rating. Room options include twin sharing, triple sharing and quadruple sharing. Expect sun and beach when in El Nido! Being a popular tourist destination in the Philippines, hotels in El Nido range from luxury to budget. Here are some great options for you! If you want a bit tranquillity, the Qi Palawan Resort is the perfect getaway. The resort is a beachfront property. Though its a location is a bit far from the city centre, you’ll be rewarded with a tranquil and amazing vacation experience. You know how we sometimes love to be pampered when we are on a trip (after all, you are on vacation). The Cauayan Island Resort (El Nido) is the perfect getaway for you. The Resort is conveniently located in Bacuit Bay, the perfect area to explore nearby attractions. For the budget conscious, the Hidden Garden Pension is a perfect choice. It is centrally located in El Nido and is close to other convenient stops in El Nido. 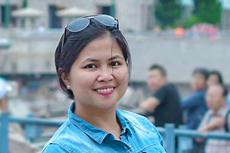 When you are travelling to Coron for a couple of days and would want to explore various areas and maybe try one or two fo the tour packages, staying within the town centre is a good idea. 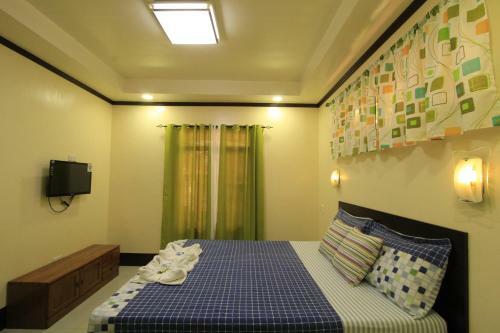 Darayonan Lodge is a budget-friendly accommodation in the town centre. Aside from its comfortable accommodations and facilities, the lodge can also arrange tours for you when you want assistance. Another budget-friendly accommodation when in Coron is the Happy Camper Hostel. This is a good place to mingle with other travellers too though there is no wifi. But since you are on a vacation, that’s alright! 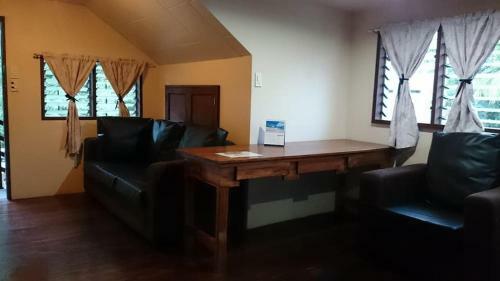 Business and leisure travellers will love to stay at the Aquilah Homestay. The homey ambience of this accommodation is enough to make every stay a comfortable one. 1. Pack light and cool clothes when you travel to Palawan. The Philippines is a tropical country so expect it to be hot most of the time. 2. Bring some sturdy footwear for walking and the beach. There are plenty of hiking opportunities, like in Mount Tapyas in Coron. Washable and high durable flip-flops will be perfect for this trip. 3. Don’t forget to bring sunscreens while on the trip to avoid sunburn. Trust me! Mosquito repellent is necessary too. 4. Stay hydrated all the time and bring lots of waters with you. 5. Don’t forget to bring a dry bag with you when you visit Palawan. Or try to check out our island hopping packing list for a more convenient trip. What are you waiting for? 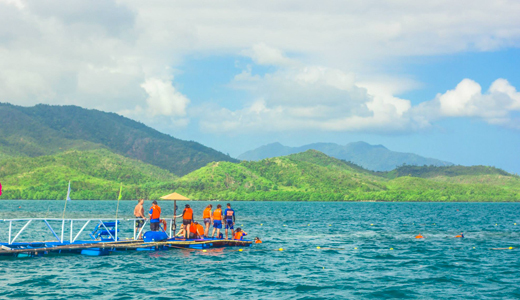 Make Palawan your next travel destination and experience its gorgeous Palawan tourist attractions! Thank you a lot and I’m looking forward to touch you. Will you kindly drop me a mail? is it possible to get the boat when we arrived in palawan to bring us to those spots? or do we need to book the tour package before we get there? One of my favorite destination in Palawan is #1 Barracuda Lake. Water is so clear and beautiful and rocks around makes it more majestic! If you are also into under water photography, this is a perfect place for you. Good day Marvi! I really love your blog, Thank you for sharing Palawan with us. 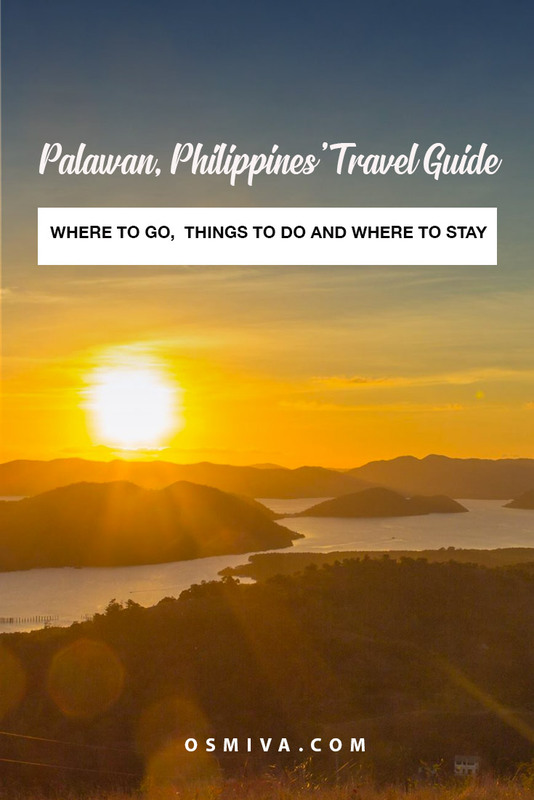 I would really love to travel to Palawan, I hope I can visit all the places mentioned here. Keep up the GOOD WORK! God Bless you! Also, It would help Tourist to find, A Tourist Spot they should look forward when they come to Philippines. Thank you again. God Bless! we really want to travel most of those attractions but on a tight budget. Hi Nyce. Well, Palawan has several cheap hotels and transient house that you can choose from. Are you by chance traveling to Puerto Princesa? Or perhaps Coron or is it El Nido? The budget and the itinerary will greatly depend on the area that you will be traveling to.